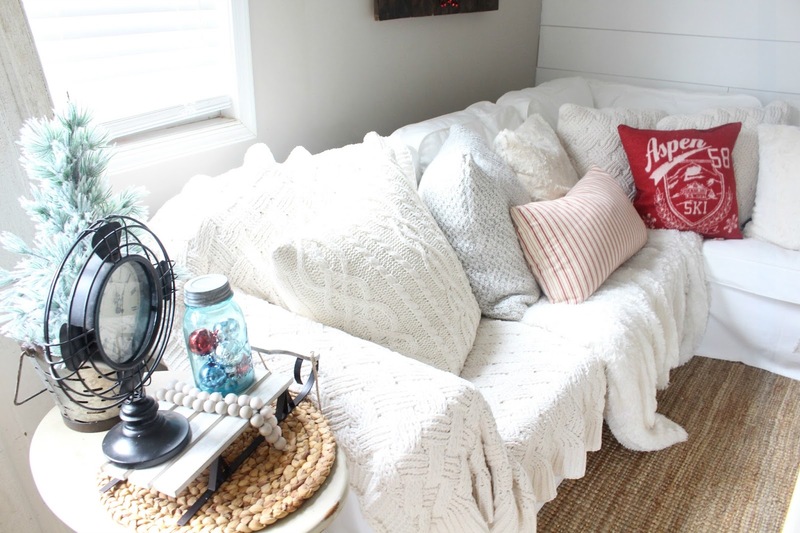 Back in the fall- I put together a fun post of my tips for decorating for fall on a budget- it was such a hit and ya'll asked for more posts like it! I also had fun putting it together for you because let's face it. Most of us our on a budget- especially when it comes to this time of year. 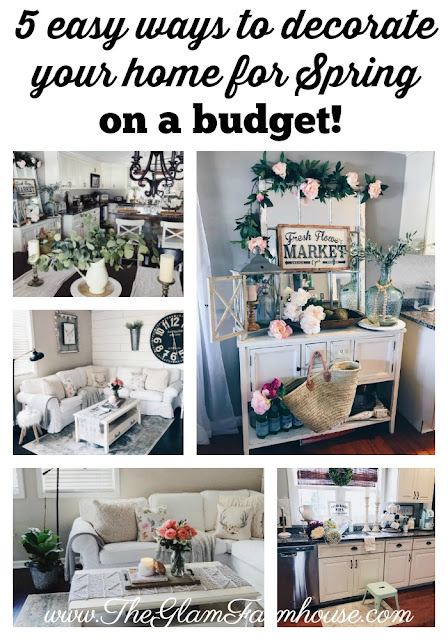 With all of the amazing decor and inspiration on social media, Instagram and Facebook, it's super easy to get caught up.. and feel like we can't decorate our spaces because we don't have hundreds of dollars to spend on decor. I'm here to tell you that information is just not true! I'm going to share with you 6 ways you can decorate for Christmas- quickly and on a budget! This is probably super obvious- but I wanted to tell you that you don't have to put up a huge tree to help you get in the mood for the season. Any size tree will do. Especially if you don't have a large space to work with. Home Depot carries the most adorable real live mini trees and they are so festive and fun! You don't even have to decorate it, if you don't have the time or funds. Just having a tree will help put you in the mood. I promise! 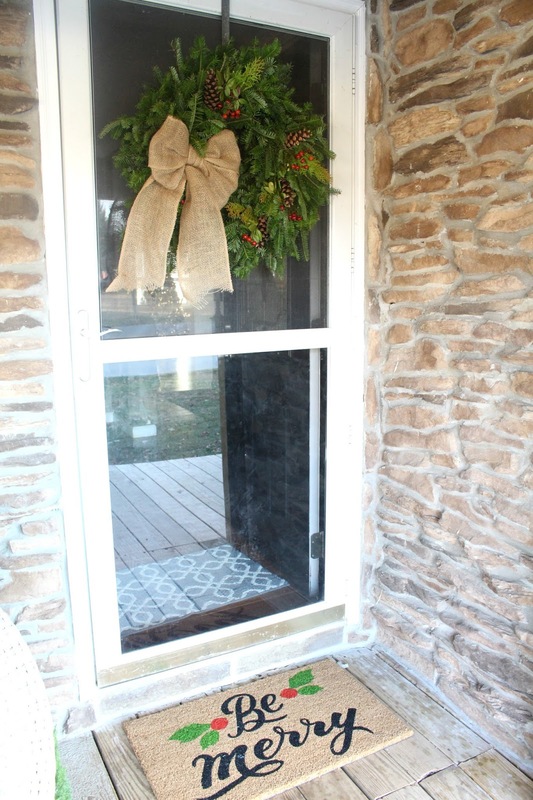 I LOVE wreaths! I hang them everywhere! On doors inside my house, on old windows, on chalkboards, the backs of chairs and even on my kitchen cabinets. Adding wreaths to any space in your home will instantly help things feel more festive and get you in the Holiday Spirit. 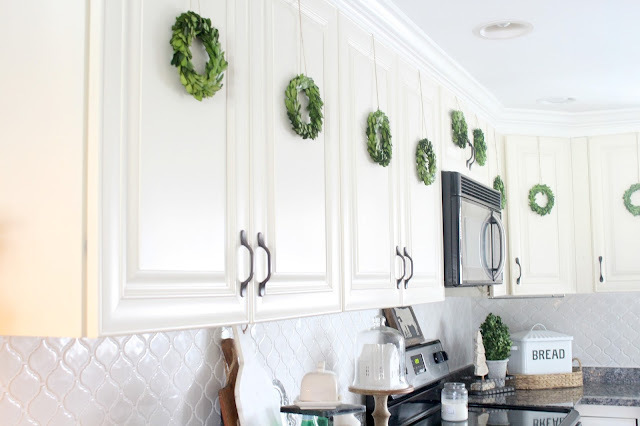 One of my favorite and most budget friendly options to decorate your kitchen for Christmas is to hang little wreaths on my kitchen cabinets, you can get wreaths at the Dollar Store! 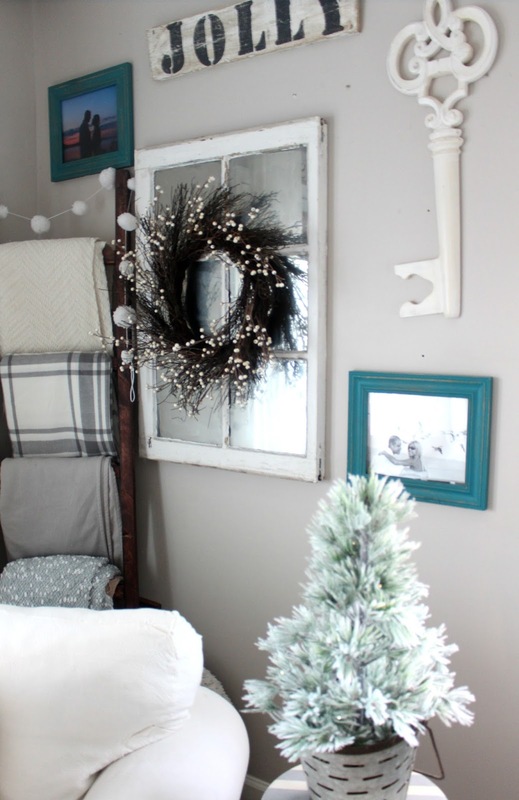 This is a super great and budget friendly option to make a big and festive impact in your space. Target Dollar spot has a GREAT selection of festive throw pillows this year for $5! 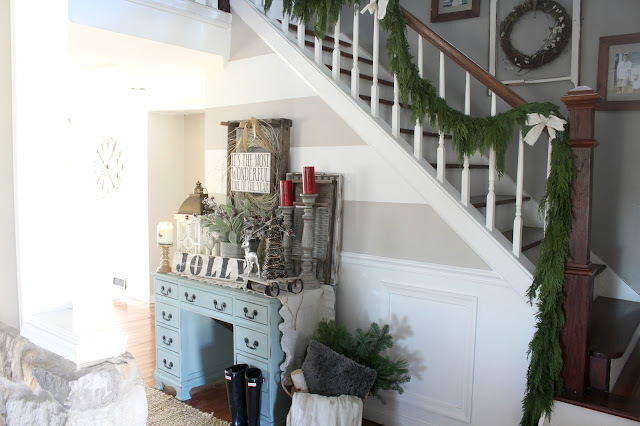 So it's a great budget friendly and easy way to add some Holiday Cheer to your living room, entryway, front porch or wherever! I love throw pillows, and they are probably my favorite thing because they are so easy to switch out and change up with the seasons. 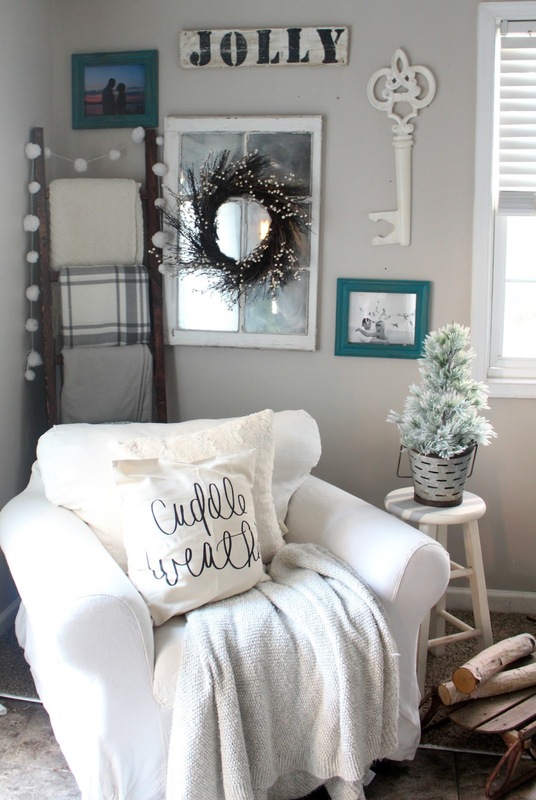 It's so fun how much just swapping out throw pillows can transform a space and get me in the festive spirit! Literally anywhere! 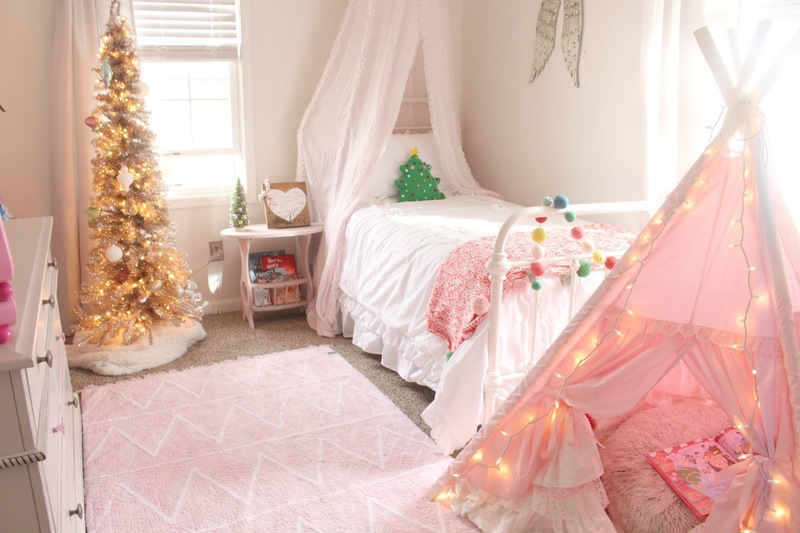 Just adding Christmas lights to space can instantly add some fun and Holiday Goodness to any space in your home. There is something just so darn magical about them. The soft glow of lights at Christmastime while I'm snuggled up with my hot cocoa watching Christmas movies is seriously the most magical thing ever. Hang some and see for yourself. It doesn't have to cost a ton of money! Just use your current coffee maker, buy one or two festive mugs (target has a GREAT and budget friendly selection this year!) and be prepared to cozy up and enjoy a hot cup of cocoa every night as you watch your festive Christmas movies. 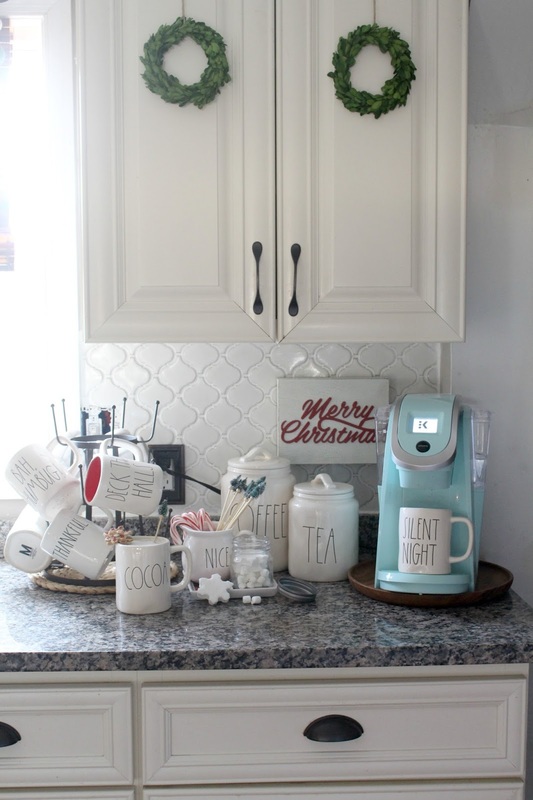 I shared some tips on creating a fun, easy and budget friendly coffee/cocoa station- in this post here. 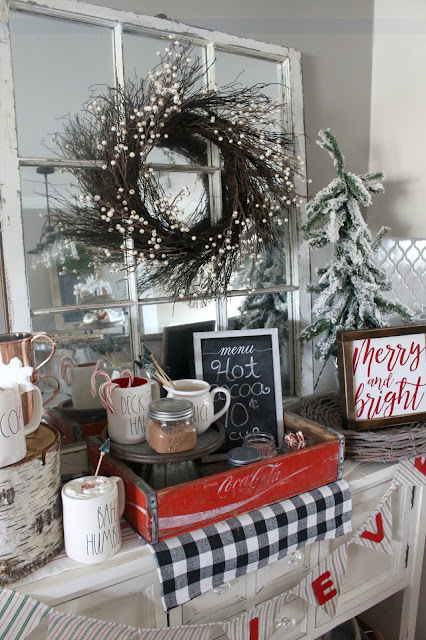 So there ya have it my friends- My easy and quick tips for decorating for Christmas on a budget! Have you done any of these things already? 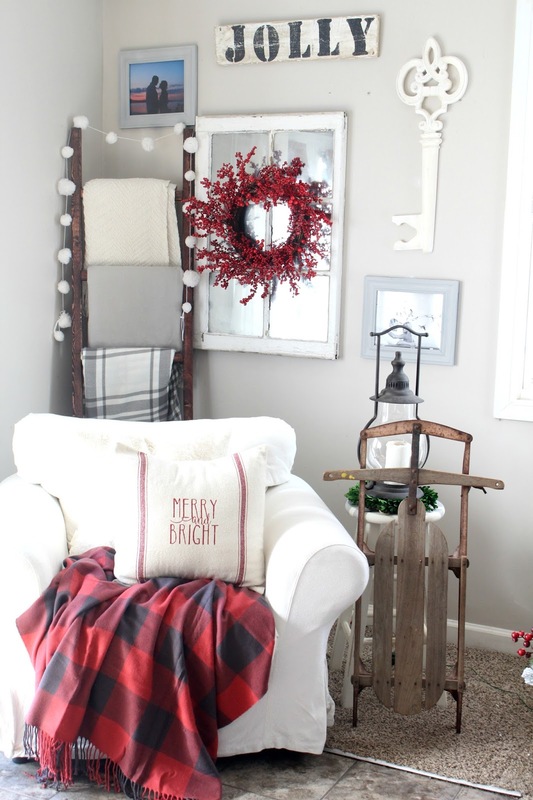 What is one of your favorite things to do to decorate for the season? I'd love to hear your thoughts on this! Let's chat over on Instagram, Facebook, or leave a comment for me below. I just love hearing from you all! I sure hope you're having the merriest of Holiday seasons my friends! Excellent advice lady! I personally love the pillow covers that H&M has for sale! So cheap! Greens everywhere is my motto!! Great tips! 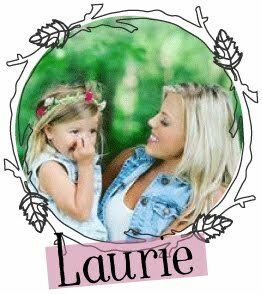 I love the wreaths. I need to make a dozen or two!! Love your great ideas and your decor.....thanks for sharing! Blessings to you this holiday season!